During the first three weeks of Initial Entry Training, commonly referred to as Red Phase, trainees learn about U.S. Army heritage, Army Core Values, as well as undergo physical and tactical training. 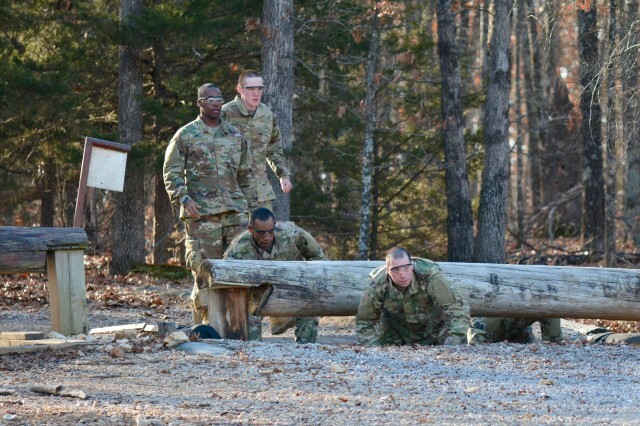 One test trainees must face during this phase is the Physical Endurance Course, known to many simply as PECs. 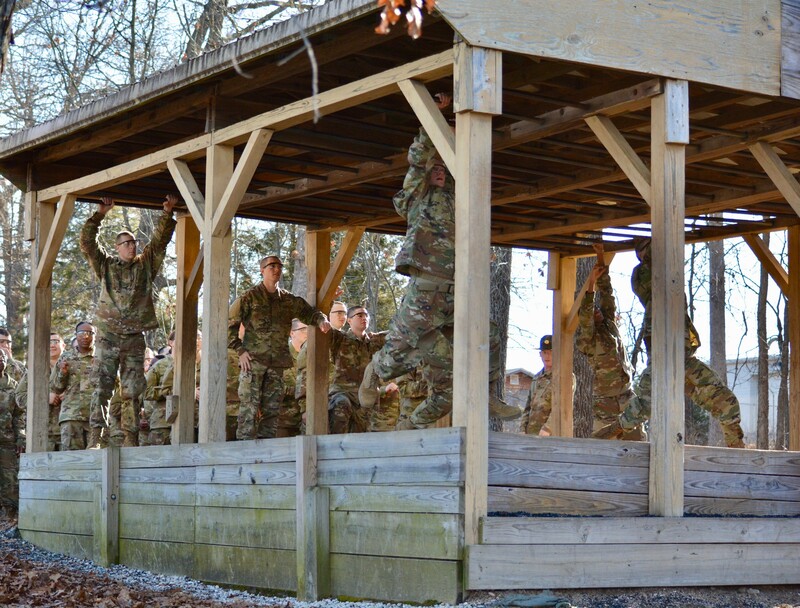 The PECs is composed of 16 different obstacles, including rope climbs, rope swing over trenches, crawling through mud pits, horizontal bars, crossing swaying rope bridges, tunnels, and even leaping over various sized walls. 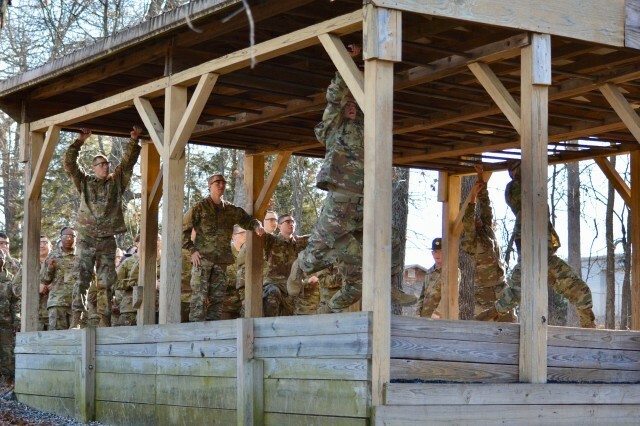 Each obstacle tests the trainees' physical and mental capabilities. "We conduct training at PECs during Red Phase, because it's the first event in which the Soldiers test their endurance and platoon teamwork. It starts building the framework for 'we' versus 'I' mentality," said Sgt. Sherry Wuest, Company F, 1st Battalion, 48th Infantry Regiment, drill sergeant. "If a Soldier is weak in a certain aspect or skill, then it is up to their team to help them through the obstacle and provide the encouragement they need." 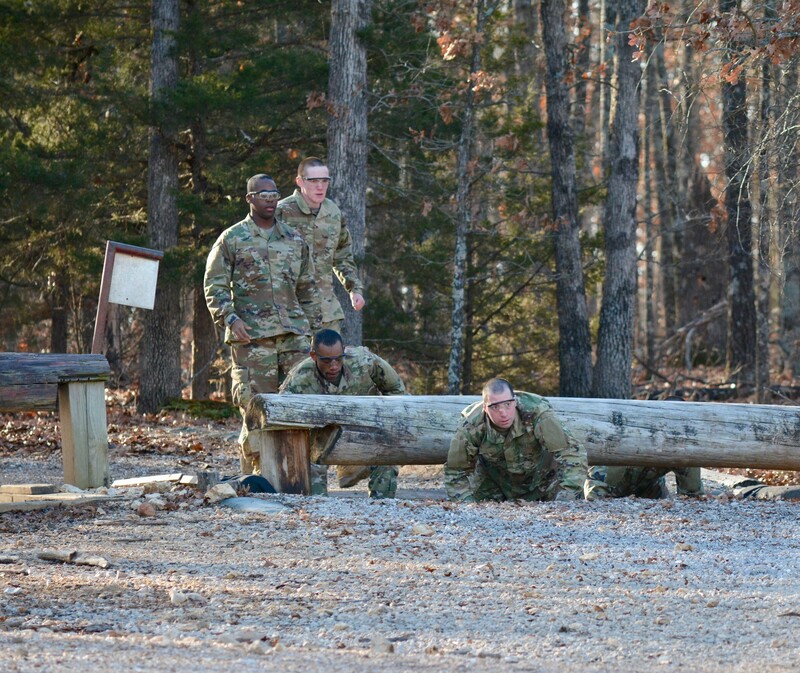 Prior to trainees starting the course, the drill sergeants run through the course to instruct the trainees on the right and wrong way to overcome the obstacles. This quick run through allows the trainees to evaluate the course prior to attempting it. Sgt. Ebonine Torres, Company C, 2nd Battalion, 48th Infantry Regiment, prior-service trainee, said, "This is my favorite course, it is a lot of fun and really challenges us." Torres said the PECs course is also a great team and confidence boost for all trainees. Once completed by all trainees, representatives are selected by their peers to compete against representatives from the other platoons. These representatives will challenge each other for the fastest time completing the course. For some IET companies, the platoon with the fastest time will earn a phase banner streamer. Phase banner streamers are earned throughout basic training in events such as rifle marksmanship, grenades, and physical fitness. Streamers serve as incentives, rites of passage, and provide a sense of pride to the platoon with the most streamers at the end of the 10-week training.